Cassanda De Pecol, an American citizen, has broken the world record of being the youngest woman (27) to travel all the 196 sovereign states in record time (18 months 26 days). This record is significantly smaller, especially considering that its half the time that the previous record holder took to travel the whole world. The first documented woman to travel the world, Cassanda embarked on her journey called ‘Expedition196’ from Pacific island of Palau in July 2015 when she was 23. The traveler has published a list of her favorite destinations. Surprisingly delightfully, out of the 196 countries she visited, she has ranked Pakistan as the fifth best country in the world to visit. In her list, she has also reflected on what makes these countries special. Talking about Pakistan, she said that one must visit it “to get a true sense of raw, authentic Asian culture, and for the food”. Here’s her complete documentary on Pakistan. 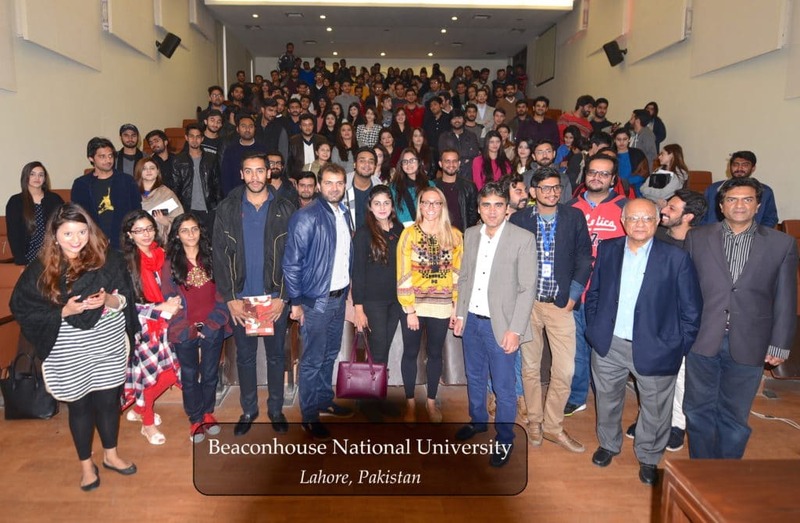 While in Pakistan, she also visited various universities. 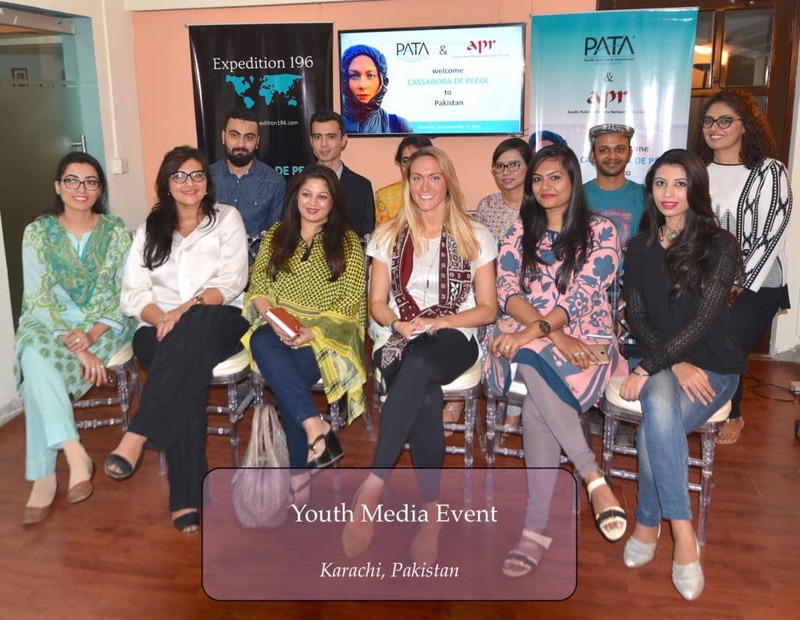 She met with students and discussed ideas about how to boost tourism in Pakistan as well. She emphasized on the need to preserve and regenerate our environment, leading to a more sustainable way of life. Cassanda’s list of the top 10 countries to visit include these. They also outline her reasons to include them in her list as well. Mongolia – To be immersed in the remote wilderness and to ride the wild horses. Bhutan – To learn the ethics of peaceful living. Maldives – To see some of the bluest water, whitest sand and most stunning sand banks in the world. Vanuatu, South Pacific – To experience the process of how Kava is made and to meet some of the kindest people. 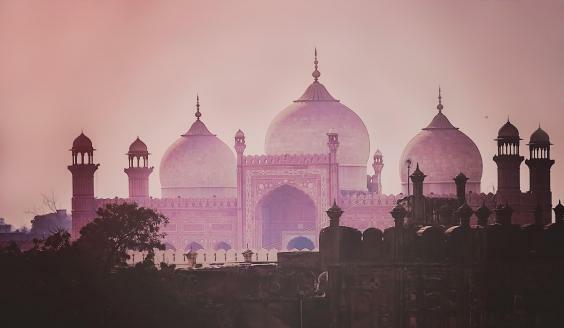 Pakistan – To get a true sense of raw, authentic Asian culture, and for the food. Oman – To immerse yourself in the desert and mountains, while learning from locals who live in the mountains, it’s a whole different lifestyle. Tunisia – To experience northern African culture with a Middle Eastern feel and an immense amount of archaeological history. Peru – The Amazon rainforest and Aguas Calientes [gateway to Machu Picchu]. Costa Rica – Monkeys, fresh fruit, good music, and volcanoes…need I say more? USA – Fall in New England is something everyone should experience. These areas are totally spoiled by by MQM. Every country has some areas like these. So no shame there. Yes, they can be improved no doubt. So true, when they have nothing else to post, they just re-post old news. I am an Optimistic person BUT this is Ridiculous ! Do I need to be told by any foreigner how beautiful Pakistan is?